I'm excited to say that I'm now sponsored by Camp/Cassin for my climbing equipment and also from Tendon for my climbing ropes. Having these companies support me will help in a huge way with. This has came about through the support from Allcord, which I owe a great deal of gratitude to. To have a company to support me with ropes is truly a big step for me in my climbing and guiding career. Sounds cheesy but when you start using ropes for work and they start to be wearing out quicker than you realised then it can get quite expensive. The rope that a climber uses can probably be said to be the most useful and essential piece of equipment they have. If you forget your rock shoes you can climb something easier in your boots or trainers. If you forget your harness you could go old school and tie onto the rope directly, If you forget the cams or wires you could take a note from Czech and make knotted protection for in the cracks. All these are quite extreme examples but the point I'm making is that even if you remembered the harness, cams and the rock shoes. Without a rope you are totally on your own and would be hard to continue climbing in a safe manner. Having Tendon support me will allow me to focus a lot more on the practical matters of climbing and guiding clients. Knowing that I'll be using a product of great quality puts the thought of my equipment further back in the mind. Camp/Cassin were originally two separate companies. Cassin Was owned by the legendary Riccardo Cassin who was friends with the family that owned Camp. Just before he passed away at the age of 100!! He sold the companies to Camp which I think has a certain beauty to it. Both companies are from the same region in Italy. The Cassin part of the company holds the more technical and robust tools for climbing. 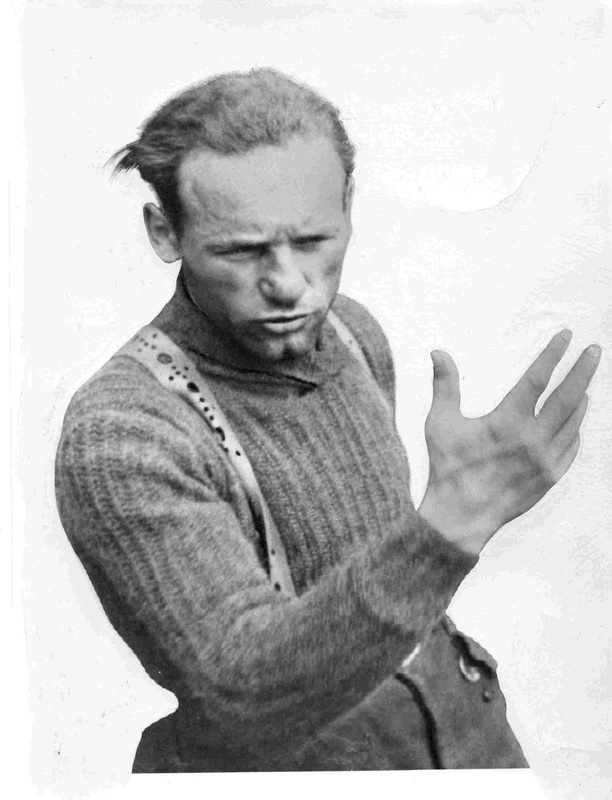 When the word Riccardo Cassin is mentioned there will probably be so many images/routes that come to mind. The company, that is named after the Alpine godfather Ricarddo Cassin, has managed to keep the robust, functional and dynamic image that the man himself had. Riccardo Cassin has probably got his name on some of the most iconic mountains in the world. From Lecco to Alaska, and the Dolomite to the Himalayas. Doesn't matter how difficult you climb there is probably a Ricardo Cassin route that is on your tick list. Loving the lightness but also strength of the Camp Alpina ice axe. He gave so much to the climbing world and and from the few of his routes that I have climbed I can say that his passion showed within his routes. To find the line that the mountain or rock face offers you takes skill and a keen eye. I believe that the company Cassin has kept this passion within the climbing equipment that they design and create. To produce an axe or Crampon that can allow climbers to move dynamically in the mountains must take an incredible amount of skill as well as a skillful eye for the work. I've used the XLC 390- automatic crampons (pictured above on my feet) for a while and think they are amazing for a super lightweight crampon. The harness I'm wearing in the photo is the Alpine Flash. The comfort for a very lightweight harness was was I noticed the most. I was using it in Scotland for winter climbing, and due to it having 5 gear loops made racking the gear even easier. Massive thank you again to Allcord, Camp/Cassin & Tendon. Looking forward to using and trusting their equipment on my future adventures.